Having recently handed a golden, digital watch to the CSI franchise by canceling its Cyber edition, CBS is leaning on its other procedural brand. 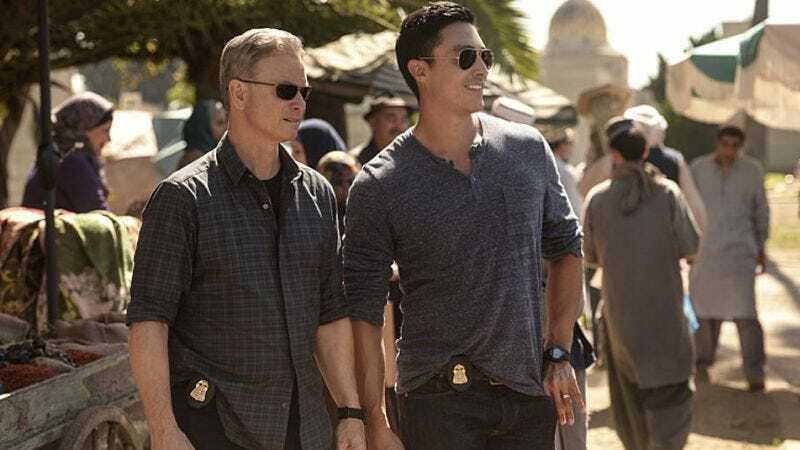 Deadline reports the network has given a second season to Criminal Minds: Beyond Borders, a rather bland addition to the franchise that includes the Criminal Minds flagship series, which was recently renewed for a 12th season. Maybe Alana de la Garza has more leftover Law & Order goodwill than previously thought. CBS is also bringing back Code Black for another season of no-frills medical drama with Marcia Gay Harden and Luis Guzmán as the doctor and nurse, respectively, who run the show’s “refreshingly unsexy”—and presumably more professional—emergency room. Deadline notes that while Code Black has seen a rise in ratings in recent weeks, it will undergo some changes before its sophomore outing. These include new characters, who may or may not get biz-zay, consistently and thoroughly. The network has also decided extend the domestic strife between Matthew Perry and Thomas Lennon, renewing The Odd Couple for a third season. Finally, CBS has requested more workplace hidden-camera stunts with an eighth season of Undercover Boss.